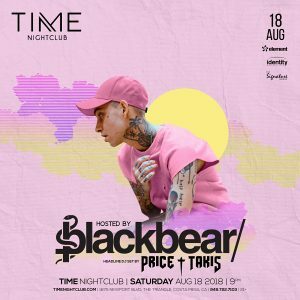 Matthew Tyler Musto, known professionally as Blackbear, is a well-known American hip-hop singer, songwriter, and record producer. His first solo album was ‘Deadroses’ which had a set of ten tracks. The lead single ‘Idfc’ was a huge success, earning a lot of popularity and appreciation. Following the success of his debut album, he released multiple other albums, the latest one being ‘Cybersex’. This album was an average success, peaking at the 47th position on the US Billboard 200. He has also released a few EPs, such as ‘Afterglow’ and ‘Foreplay.’ In his career so far, he has collaborated with several well-known artistes, such as Hoodie Allen, Justin Bieber, James Black, and Pharrell Williams. He was a co-writer of the song ‘Boyfriend’ by Justin Bieber; the song was a huge hit and peaked at the 2nd position on the Billboard Hot 100. In 2014, he began to monetize streaming on SoundCloud, becoming one of the first independent artists to do so.